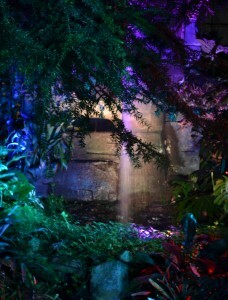 “Everything looks so different,” a visitor exclaimed as she toured the Night Lights exhibit at the Buffalo and Erie County Botanical Gardens, 2655 South Park Ave., Buffalo. If you haven’t made it to Night Lights, this is your last chance. The last three days are Thursday, Friday and Saturday, Feb. 17, 18 and 19. The exhibit is open from 5:30 to 9 p.m. 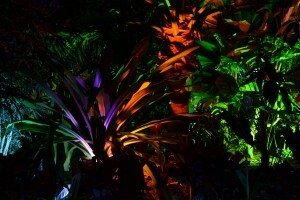 Ever-changing lights splash the botanical displays with strong primary and neon colors. You get the sense that you’re inside a movie studio where they’re filming a lustrous special-effects movie. 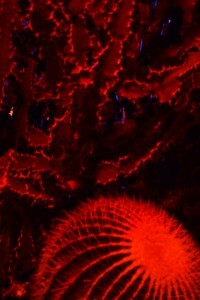 The cactus at right looks as if it’s from another planet. A music soundtrack adds to the experience, with some of the lights synching with the sounds. One of the favorite spots for visitors is the giant waterfall, left, which is bathed in color. Music plays in the background, and visitors can become part of the entertainment by keeping the beat on a nearby drum. The warm and humid air is a delightful respite from our furnace-dried indoor air. It feels like spring, even after the sun goes down. While the exhibit is unusual, you can find ideas to use in your own garden. The light drew my eye to this clever chandelier, below right, then I realized the illumination was coming from the LED lights, not the chandelier. The chandelier is actually a container for plants. What a great way to recycle a beautiful fixture! Use this idea for your own patio. 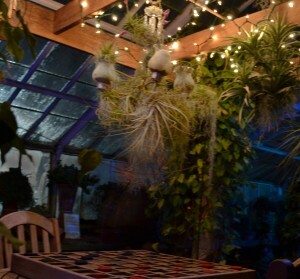 The lighting designers for the event are SitlerHQ, LLC and Volt Vision, Inc., who own and operate the successful eco-tourism attraction NIGHT LIGHTS at The Heron in Chautauqua County. NIGHT LIGHTS at The Heron is a one-mile walk at night along a lighted trail in the woods. It is considered to be one of North America’s most unusual tourism attractions. 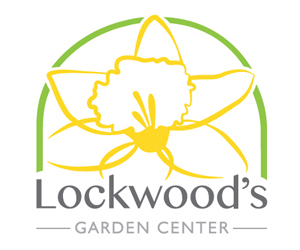 Admission to Night Lights is $10 for adults; $8 for garden members, seniors and students; $5 for children ages 3-12, and free for children under 3. 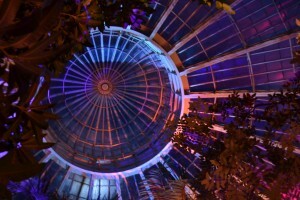 Winners in the Botanical Gardens’ photo contest have been selected, and the photos are great! See the winning photos here. The Orchid Show is coming up on Saturday and Sunday, Feb. 26 and 27. Read our previous articles to learn more about orchids and to learn how easy they are to grow at home. 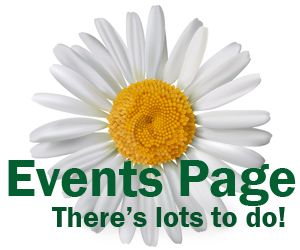 See more events and classes on our Upcoming Events page. Did you take photos at Night Lights? If you’d like to share your shots on our Your Photos page, e-mail them as an attachment to me at Connie@Buffalo-NiagaraGardening.com.